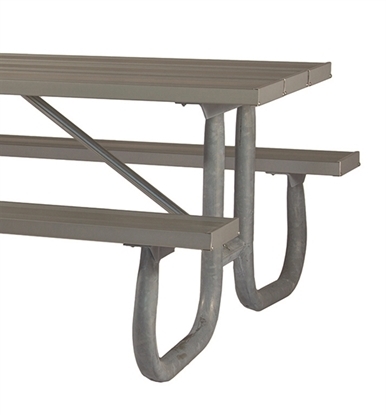 Webcoat ADA picnic tables can use this anti-vandalism bar is an optional support bar to strengthen the ADA extension on rectangular handicap accessible tables such as the WCT8RCHDCP and WCT6RCHDCP. 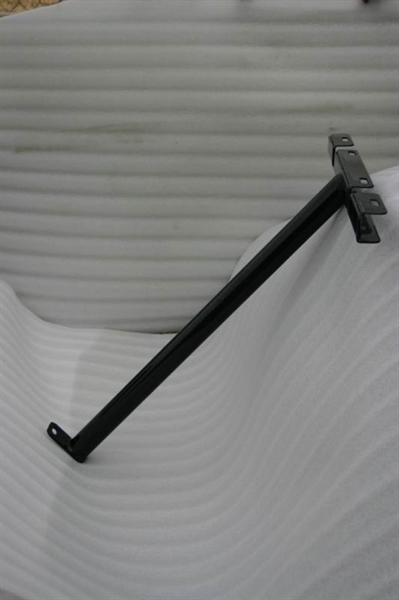 This support bar is attached to the top from the frame of the table to keep vandals from jumping on the end to flip the table. 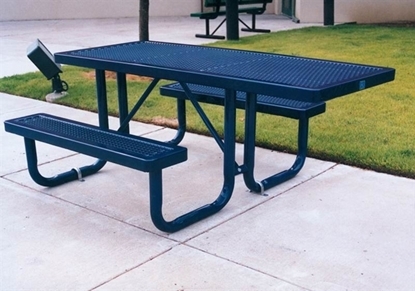 ADA Wheelchair Accessible Rectangular 6' Thermoplastic Steel Picnic Table, Regal Style, 198 lbs. 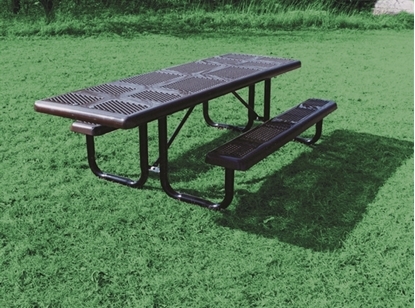 ADA Wheelchair Accessible Rectangular 8' Thermoplastic Steel Picnic Table, Regal Style, 238 lbs. 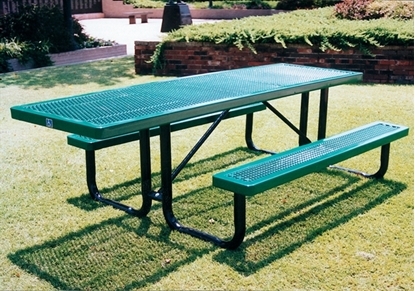 ADA Wheelchair Accessible Rectangular 8' Thermoplastic Steel Picnic Table, Ultra Leisure Perforated Style, 294 lbs.